Country living yet close to the city! This remodeled home with smart home features is in the gated community of The Buttes. It offers modern finishes and neighborhood amenities, such as a private RV park, 2 mile trail leading to gorgeous views, and annual fireworks displays. You’ll enjoy entertaining in the kitchen leading to two dining areas, a spacious backyard deck that’s fully fenced and abuts a greenbelt. Upstairs you’ll find a large 5-piece master bath with water closet, and a large walk-in closet with tons of natural light. The newer washer and dryer are conveniently located upstairs along with a huge family room and two bedrooms with their own Jack-and-Jill bathroom. 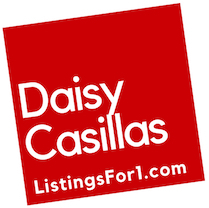 Contact your broker to view the home OR if you don’t have a broker, feel free to contact me, Daisy Casillas, to arrange a viewing.